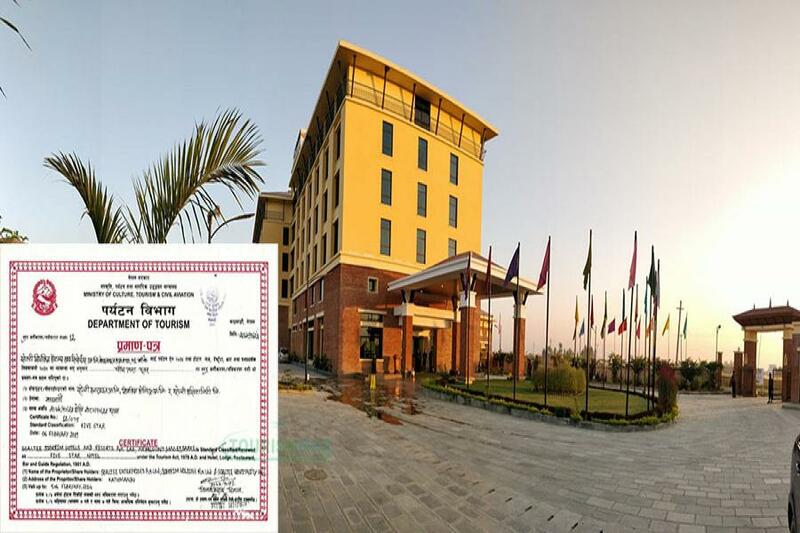 KATHMANDU, Feb 11: Soaltee Westend Premier, one of the eco friendly 5- star hotels situated in Bashudevpur has been certified as the 5 star hotel. "After the investigation done by Tourism department the hotel has been certified as 5 star hotel", Managing director of the hotel, Indra Khadka. Most of the star hotels emit carbon dioxide and other harmful gas which is dangerous to the environment but Soaltee Westend Premier is Nepal's first Green Hotel which is environment friendly. Though the structure of the hotel looks like other hotels but it is designed environment friendly. They have claimed that this hotel is Nepal's first hotel that does not emit carbon dioxide. The hotel has zero carbon footprint, AC free environment and radian technology. The liquid waste material produced by the hotel is converted in water and the solid material is decomposed. Khadka says that the hotel has been designed in eco friendly way and it has been placed in silver category. More than 1 billion rupees has been invested while constructing the hotel. The hotel consists of Hotel bar, restaurant, Banquet, spa, gym and many other facilities. There are all together 81 rooms in the hotel and the hotel charges 4,300 rupees charge for 1 night stay.